Lezyne made the Saber Levers for changing big DH and freeride tires that usually snap plastic levers like toothpicks. 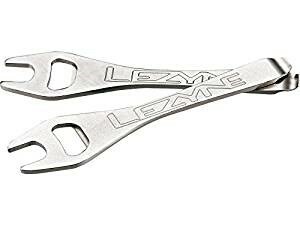 These stainless steel Lezyne levers hold up to tons of torque and abuse, and also include a 15mm end wrench to help remove your burly back wheel. Oh yeah, and they have a bottle openerAAAbut that kinda goes without saying. Sold in pairs for your tire changing enjoyment!